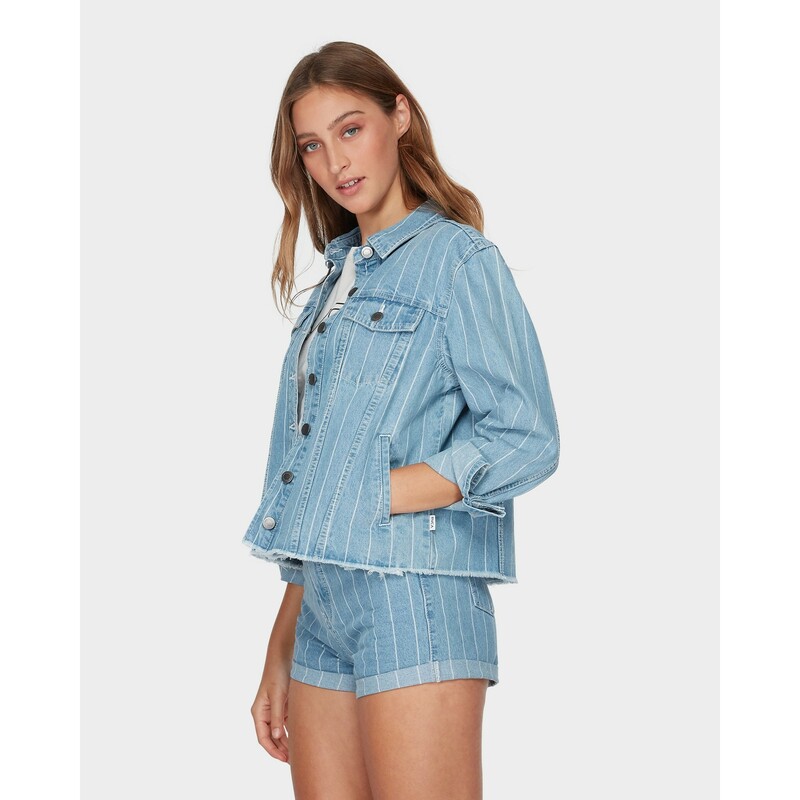 Oversized denim jacket, cropped at the hip with a raw finish. Comes in a rad lightweight jacquard striped indigo denim with a heavy enzyme stone wash. Finished with metal shanks, RVCA flag label and interior labels.